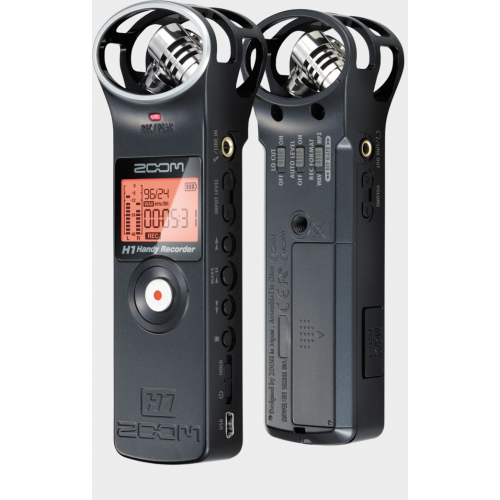 The X/Y technique provides a great way to cover a wide area while still capturing sound sources in the center with clarity and definition, making it perfect for all types of live stereo recording. The H1's built-in X/Y microphone provides two matched unidirectional microphones set at a 90 degree angle relative to one another, optimum for most stereo recording applications. 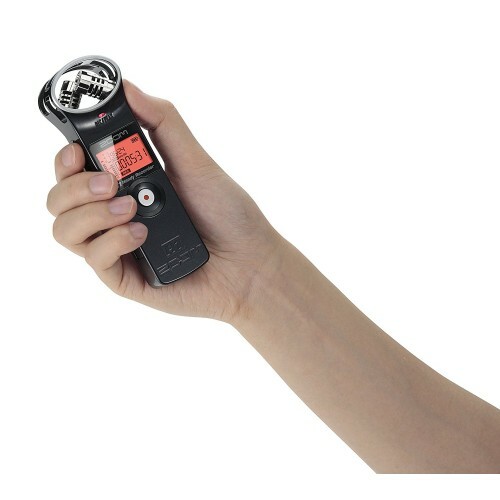 Alternatively, you can connect a pair of external microphones or line level signal to the H1's Mic/Line Input mini phone jack for X/Y or other types of stereo recording. The H1 Mic/Line Input is a stereo ⅛" mini phone jack that can accept two mic- and/or line-level signals. Condenser microphones requiring Plug-In Power (2.5 volts) can be connected to this jack. The H1 Line/Headphones Output is a stereo ⅛" phone jack with a dedicated volume control. Headphones can be connected here for private monitoring. There's also a built-in speaker on the back panel for fast monophonic monitoring of the recorded signal without the need to make any connections. The H1's USB port provides a digital output of the stereo mix and allows data to be sent to and from your computer. From there, it can be imported into editing software such as the supplied WaveLab LE. 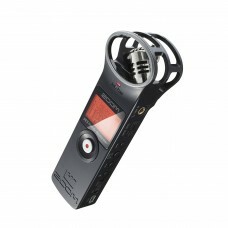 It also allows the H1 to be used as a 2-in/2-out audio interface and USB microphone, as well as a microSD card reader. The H1's Auto Level function sets input gain automatically to prevent overload and distortion. Alternatively, input level can be set manually. The H1 also provides a built-in low cut filter for the elimination of pops, wind noise, blowing, and other kinds of low frequency rumble. The H1 requires just a single AA battery—either alkaline or rechargeable NiMH—for power. Battery life when using an alkaline battery is up to 10 hours, even during continuous recording. Alternatively, you can use an optional AD-17 AC adapter, which allows you to power the H1 from any standard wall socket. 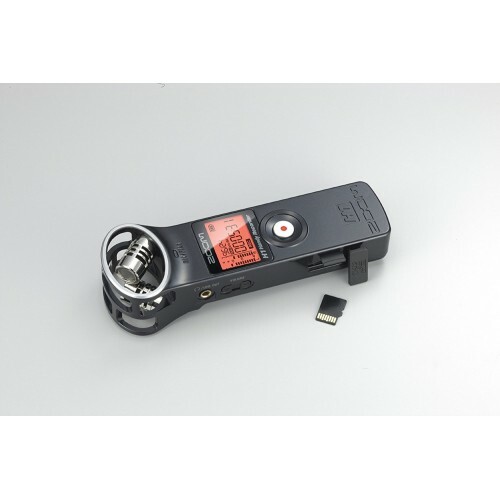 The H1 records directly to microSD and microSDHC cards, up to 32 gigabytes. The chart below shows maximum recording time with different file formats and card sizes.